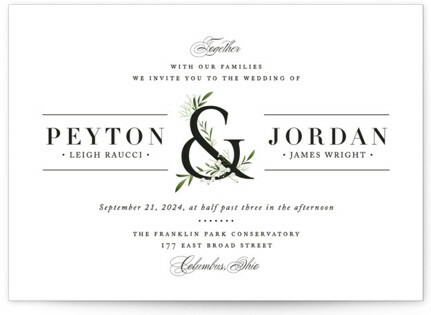 No two marriages are alike and neither should your wedding invitations be ordinary and like every other bride's. Nothing is better than having a unique wedding invitation that inspires you and can also be the perfect memento for your wedding day. 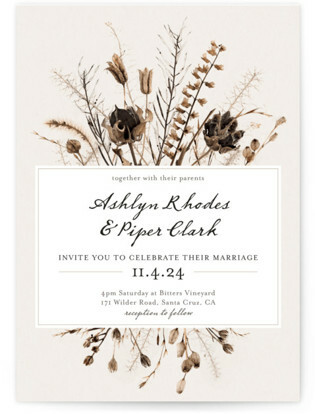 Fall weddings are some of the most beautiful and unique weddings, so let's give your guest a sneak peek into your fall wedding plans with this lovely autumn wedding invitation! Like Sylvia Plath's only novel, why not protect and display the day you and the love of your life elope? 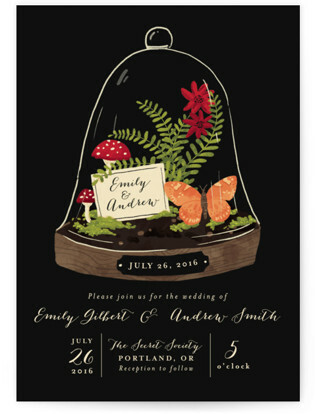 This unique little bell jar wedding invitation will give your day a poetic new meaning your guests will never forget. 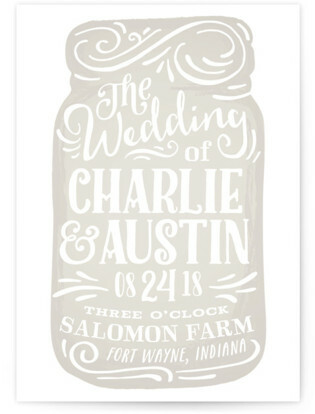 Are you a bride who loves a sweet traditional romance reference every now and then? Want something that gives both a touch of classy romance along with a sweet cliché? 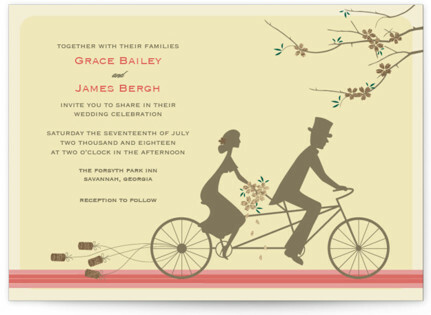 Then you should try this unique little two-seated wedding invitation with its vintage spin on a love. 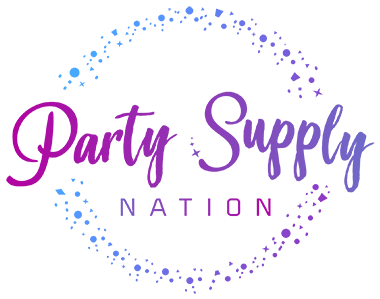 For those couple's who want to express their new beginnings from the end of the single's life to their new beginnings as a unified couple. 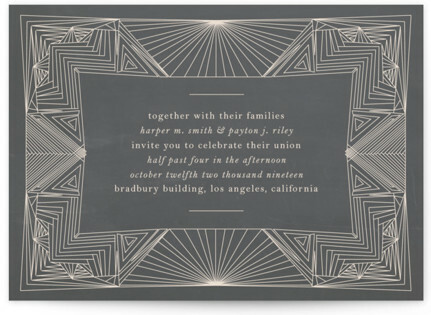 This unique wedding invitation takes a dark tone and breaths life into it with love. Every bride at one moment or another has thought about a faraway destination wedding. 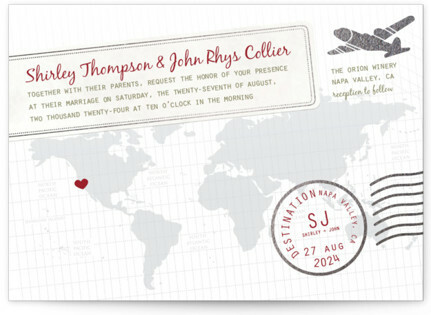 So why not give your guests this daring wedding invite for the uniquely adventurous couple! 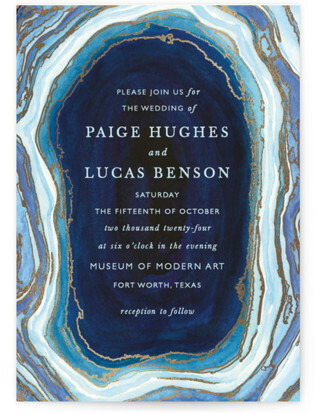 Bring your wedding day an extra bit of good luck and protection from the rain with these agate wedding invitations. Adding a new leaf to your growing family tree? 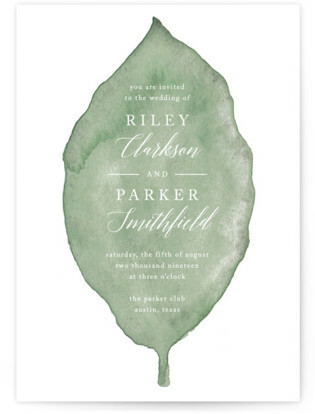 Then why not extend the branches of your love with this unique nature-themed wedding invitation! 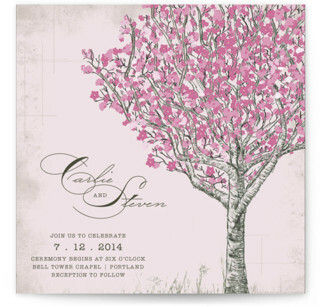 Whether you choose to hold a cherry blossom viewing party at your reception or love the deep meaning that the cherry blossom represents, you will love these unique little sakura trees wedding invitations and all their pink little blessings. 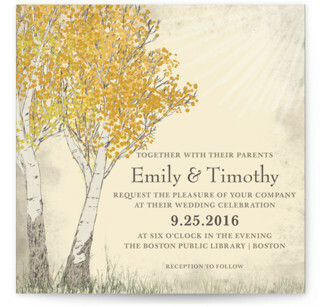 Need a wedding invitation that can help you celebrate a winter themed wedding in the middle of summer? Nothing is more unique than mixing the seasons for your wedding day! 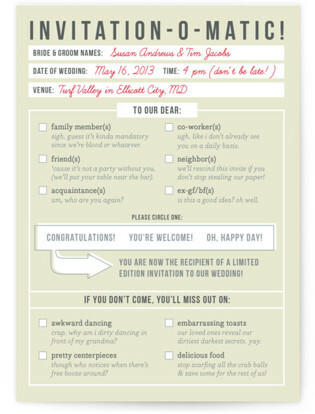 For the couple that is double the amount of quirky and completely unique, these wedding invitations are meant for you! Make 'em laugh, make 'em smile! For all those bride's who just can't get enough of New York City, or at the very least the cheesecake! 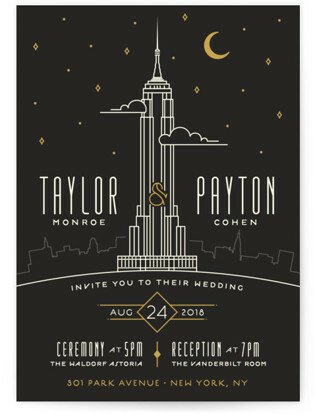 We present to you this picturesque Empire state building wedding invitation that will leave you dancing the night away under the moonlight too. 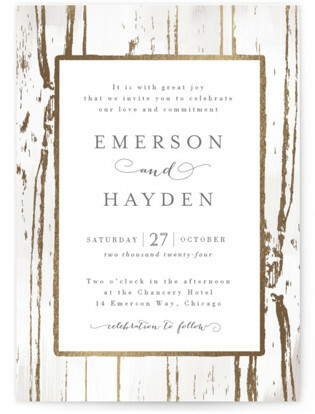 Make your unique wedding day feel exclusive with this golden ticket style wedding invitation. Admit one, please! Are you a bride who wants to throw a tropical paradise themed wedding? 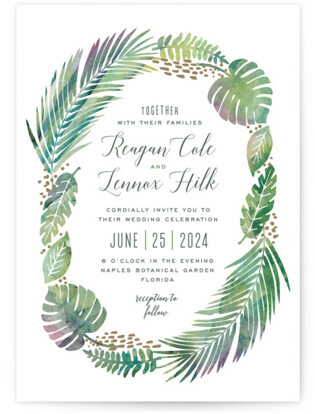 Well, why not open the gates to your wedding day paradise with this unique tropical wedding invitation! 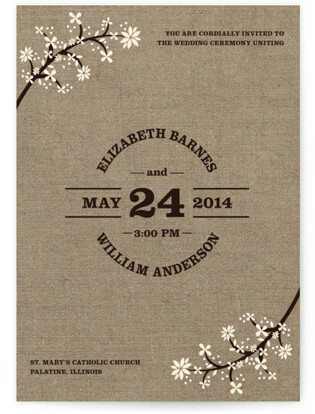 For the classy farmer gal, we give you this floral burlap bliss wedding invitation! A unique way to use burlap that looks beautiful. Catching fireflies is a timeless tradition we follow as children, so why not capture your love to let it shine on your wedding day? 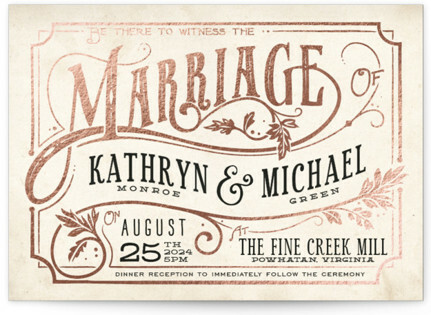 These firefly wedding invitations will help you and your guests light the way down the aisle in the most unique way! Something old, something new, something borrowed, something indigo blue? 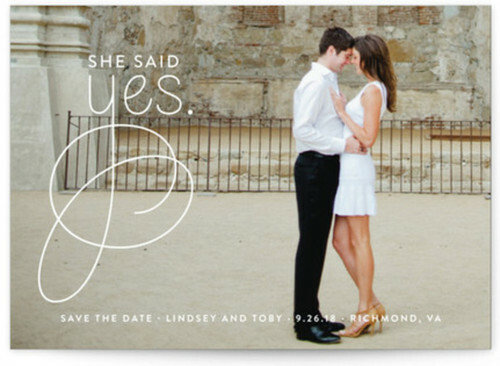 Try these simple, yet unique, wedding invitations for your wedding. Everyone loves a handwritten letter. 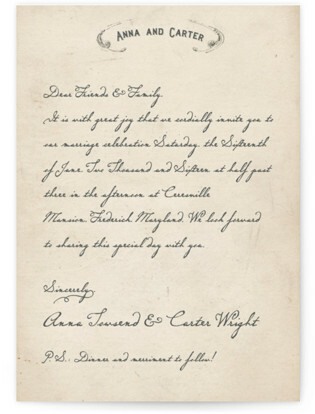 So why not spread the love and romance with these vintage letter wedding invitations! 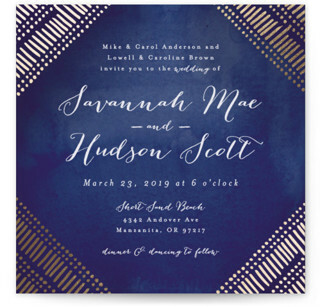 Whether or not you have read The Great Gatsby, you are bound to love these art deco wedding invitations along with all the depth that they offer! 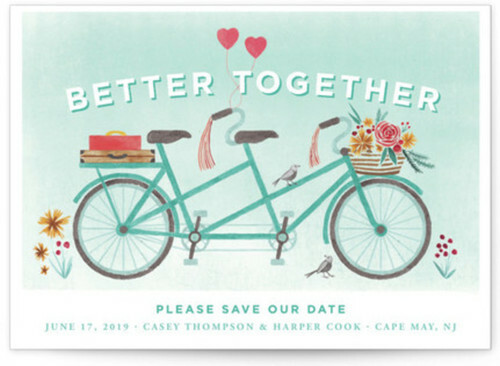 For the couples who love a mix of Victorian-era fashion, steam-powered themed gadgets, and a little tinge of dystopia tied into their big day. 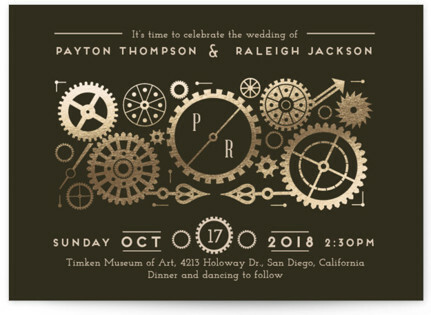 We give you these unique Steampunk themed wedding invitations that offer your guests a peek into the inner love mechanics. 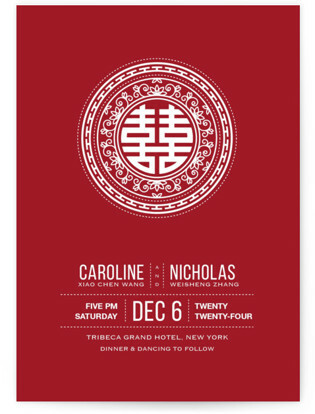 Red is a symbol of good luck in China, so why not spread around the luck for your wedding day with this Chinese inspired wedding invitation? 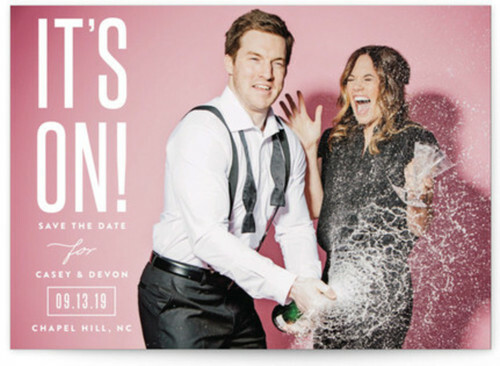 This wedding invitation is perfect for couples looking for something that is a little unique but also understated.